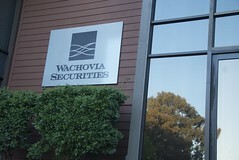 Wachovia counterclaimed, alleging, inter alia, that William Holland and Michael W. Holland violated the Computer Fraud and Abuse Act and misappropriated trade secrets. Id. Ten days of hearings were conducted from October 8th through October 19th, 2007. Id. Defendants filed a motion for summary judgment and plaintiffs filed a response on December 20, 2007, and the Panel dismissed plaintiffs’ claims in their entirety with prejudice. Id. William Holland was ordered to pay defendant $72,403 in compensatory damages, plus interest. Id. Michael W. Holland was ordered to pay defendant $4,000 in compensatory damages, plus interest. Id. William Holland was ordered to pay defendant $372,094, representing 80 percent of the total of attorney fees and costs incurred by both defendants. Id. Plaintiffs’ motion to vacate the arbitration award was denied. Plaintiff: Karen A. Batcher, Batcher, Zarcone & Baker, Chula Vista; Robert Hill, Shustak, Frost & Partners, San Diego; Erwin J. Shustak, Shustak, Frost & Partners, San Diego. Defendant: Michael J. Abbott, Jones, Bell, Abbott, Fleming & Fitzgerald, Los Angeles; Joseph R. Becerra, Jones, Bell, Abbott, Fleming & Fitzgerald, Los Angeles; Marsha A. Houston, Reed Smith, Los Angeles; Frederick A. Rafeedie, Jones, Bell, Abbott, Fleming & Fitzgerald, Los Angeles; Christopher Rivas, Reed Smith, Los Angeles.